As a famous networking app for sharing photos and videos, Instagram has become more and more popular around the world. According to the recent survey, the number of monthly active Instagram users has reached 1 billion as of June, 2018. With the appearance of Apple Live Photos shot by iPhone 6s or later, many users want to share the video-like images to Instagram, which will become as a still image in the end. What a pity! In this article, we will present you with an easy method to post Live Photo to Instagram effectively. Actually, there are several ways to share Live Photo to Instagram, for example using Instagram Boomerang feature, or using Live Photo other effects such as Bounce/Loop, etc. However, according to many users' report, these ways are not 100% working, especially when you trying to turn your Live Photo into a Boomerang. Thus, here we introduce another efficient and easy way, that is, convert your Live Photo to shareable GIF or other video formats and then upload it to Instagram with Joyoshare LivePhoto Converter. 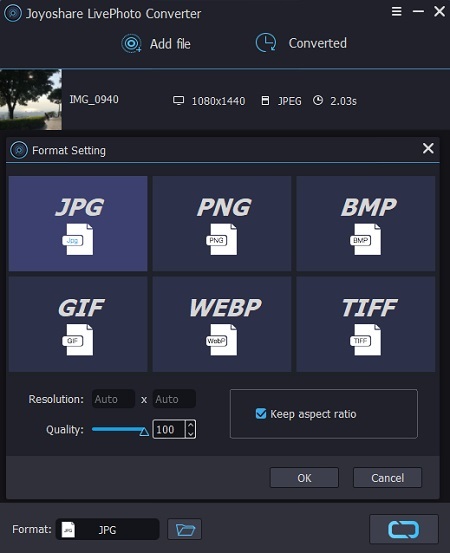 This is a professional yet easy-to-use photo converting tool that specializes in converting Live Photos to GIFs and other still image formats including JPG, PNG, WEBP, BMP, TIFF, etc. You're freely to convert one live image file or several ones at a time in a fast speed while retaining high original quality. Besides, this smart tool allows you to preview and edit the pictures as you like, such as change the output quality, aspect ratio, etc. Joyoshare LivePhoto Converter is available for both Windows and Mac systems, and can also convert any Live Photo shot by Android phones, Windows phones, as well as iOS devices, etc. The free trial version has almost all features except the conversion; you can give it a shot. If you have many Live Photos that you'd like to share on Instagram, it will be the perfect way to achieve your purpose. Next let's move to the step-by-step instruction on how to post Live Photos on Instagram. First of all, you need to download and install Joyoshare LivePhoto Converter on your computer. After that, simply open it on the desktop. Next connect your iPhone or other devices to the computer and transfer all the Live Photos you want to computer. After launched Joyoshare, you can click the "Add file" button to import your target Live Photos; or simply drag and drop the folder or the files to the main interface. Note: Remember that one complete Live Photo file consists of a still image and a video file, so you need to add them both with the same name to Joyoshare. Now you can change the file name, delete some of them you don't like, play and preview the files, etc. Afterwards, click the "Format" button and select GIF as the output format. You can also change the output quality and other settings if needed. 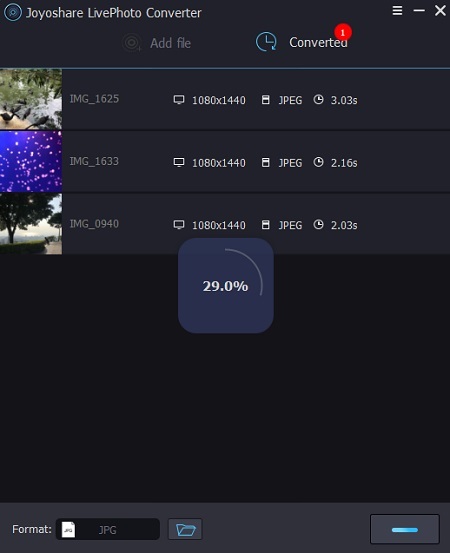 After all settings are ready, now you can press on the "Convert" button at the right bottom and Joyoshare program will start to turn all Live Photos into GIF formats. Wait a minute and when it's done, you can find them at "Converted" folder on your computer. Now transfer your Live Photos in GIF formats to your phone. Open Instagram app and upload them to your feed. 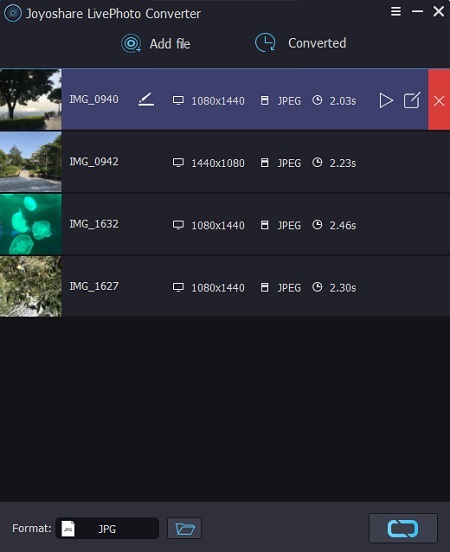 Export Live Photos as Video? Fixed!